On April 4, Stevie Wonder published a special tribute video in memory of Martin Luther King Jr. Famous figures including Barack Obama, Michelle Obama, Katy Perry, The Chainsmokers, and more shared their dreams in the inspiring clip, and among the stars was the K-Pop boy group BTS. To Newsen, Big Hit Entertainment revealed how BTS got to appear in the meaningful project. 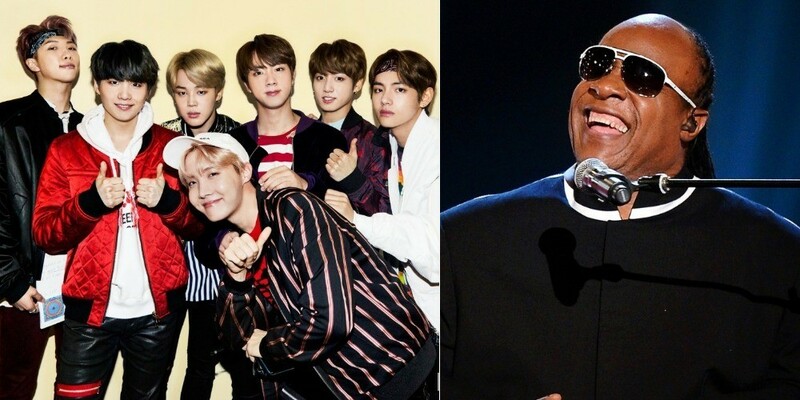 A rep stated, "Stevie Wonder personally sent a letter of request to BTS and BTS decided to participate as they agreed with the purpose."